Many people would admit to having scanty information about divx as a file format. However, it is very common and you can have your MP4 files easily converted to DivX. With a MP4 to DivX converter, you will enjoy ease of use and high quality conversion of MP4 videos. The converted file will be fully compatible with a billion devices that are certified. Read on and learn how to convert MP4 to DivX online or offline on Mac/Windows. If you ever doubted the suitability of iSkysoft Video Converter Ultimate as the best solution for converting MP4 to DivX, you need to read through this section and open up your mind. For starters, iSkysoft has all the features that you will need for converting your videos to DivX from MP4. It supports most of the popular file formats for both video and audio. What’s more? It works at high speeds and has no quality loss for converted files. 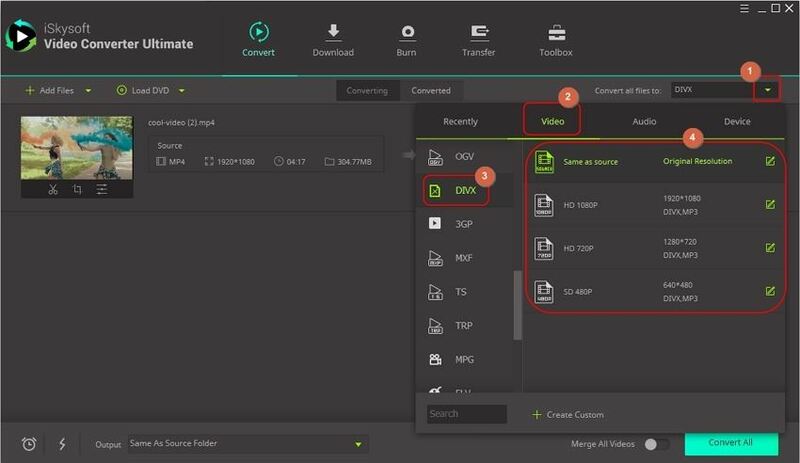 Convert more than 150 video and audio formats; easily convert MP4 to DivX in 3 simple steps. Work at 90X faster speeds with 0 quality loss. Convert online video from YouTube, Facebook, Twitter, and other up to 1000 sharing sites. It allows you to do some basic editing of your video. Chang the brightness, contract etc without going to another editor. Burn MP4 to DVD easily. Perfectly compatible with Windows 10/8/7/XP/Vista, macOS 10.14 Mojave, 10.13 High Sierra, 10.12, 10.11, 10.10, 10.9, 10.8and 10.7. Below you are going to show how to convert MP4 to DivX on Mac. Windows users can just do the same on Windows PC. But both kinds of users should download and install iSkysoft Video Converter Ultimate first. Click "Free Download" buttons below to proceed. Start by adding all the MP4 files to convert into the timeline of your program. Dragging and dropping is a more standard way of doing it. There is the other one of clicking “Add Files” on the main interface. Choose the best one for your use. There are enough output formats to select the ideal one from in converting your MP4 files. From the long list, go for DivX. Then click "Convert". Note that this converter supports batch conversion. So you can convert several MP4 videos to DivX format at one time. After a few seconds, you can get the DivX video from MP4. Find it in "Converted" tab. With iSkysoft Video Converter Ultimate, you can do more than MP4 to DivX conversion. It converts any video and audio formats. 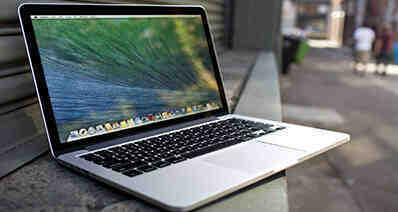 Besides, it can download YouTube video, edit video, compress video and more. Why not download it and explore more about it. 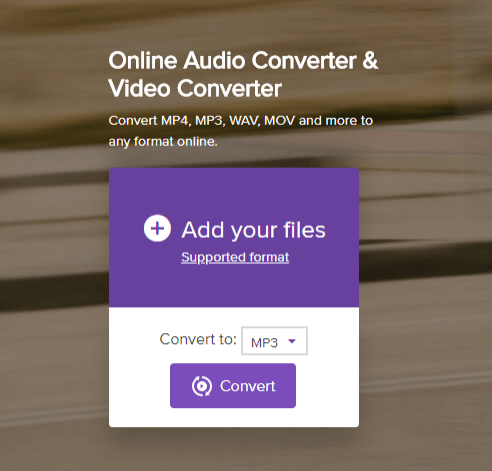 Online Audio Converter & Video Converter is a powerful yet free software that makes it super-easy for users to convert their MP4 files into the DIVX format. This is a perfect solution for those looking for a simple, easy and reliable converter not only for DIVX and MP4 but also many other popular file formats. The user-friendly interface makes it an absolutely no-brainer tool, a feature most users are always after. Step 1. Visit the Program. Go to media.io using your browser. Step 2. Upload the MP4 File. Under the “Add your files” instruction is a box with “+ Choose File” option. Click on this icon to upload the MP4 file you would like to convert to DivX format. The file browser would open to allow you select the save location for your file. Once you have selected the file, just click “Open” to upload the file to the program. Step 3. Choose the Input File Format. Under the “Convert to” instruction is the “Video” box with a drop-down icon at the far end. Click on the drop-down icon to display a list of supported formats. Go through this list and select DivX as your output format of course from this list. Step 4. Convert to DivX. When all the necessary steps have been and requirements have been met, click the “Convert” button at the bottom of this interface. The conversion process should automatically begin and you can monitor the progress within the program’s status bar.